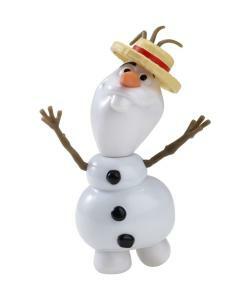 Olaf doll will break out in a portion of his signature song from the movie, "In Summer", by pressing the button on his chest. He'll also say some of his funniest phrases from the movie! 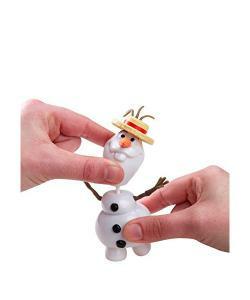 Bring your favourite snowman to life in a fun and musical way! With Summer Singin' Olaf, re-live the heartwarming moment in Disney's Frozen when Olaf shares his dreams of experiencing summer with friends Anna and Kristoff. 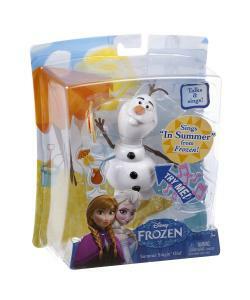 By pressing the button on his chest, Olaf will break out in his signature song from the movie, "In Summer".